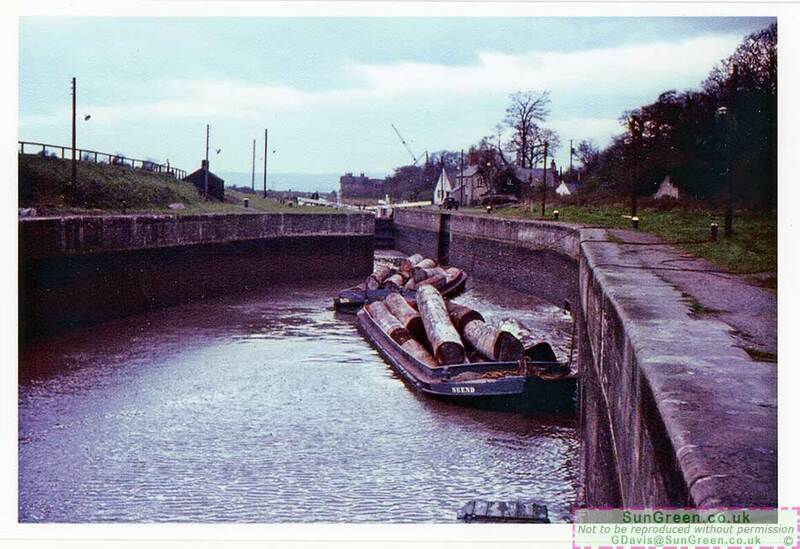 Patrick took this photo of two barges laden with logs waiting to move on to Pine End (plywood) works. A crane at the Pine End Works can be seen in the distance. Howard James added: "... At the bottom right there appears to be the raft we used as a diving platform into the lock in the early 1950's. We used our wartime gas masks, suitably cut to size, as goggles! Wonderful days! ".